The growing capacity of your garden does not have to be limited to what can be grown in the soil. Aquatic plants not only add to the aesthetic appeal, they aid the overall functionality of the water tank. The advantages of investing in water plants only means that you are able to further enjoy and reap the rewards of your hard work. Keep in mind that a 60% water surface coverage is ideal for these plants. 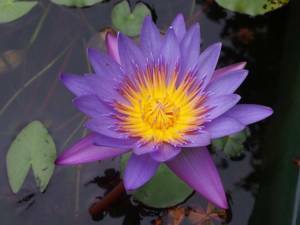 There is an array of different plants that thrive in the water and that suit different environments. 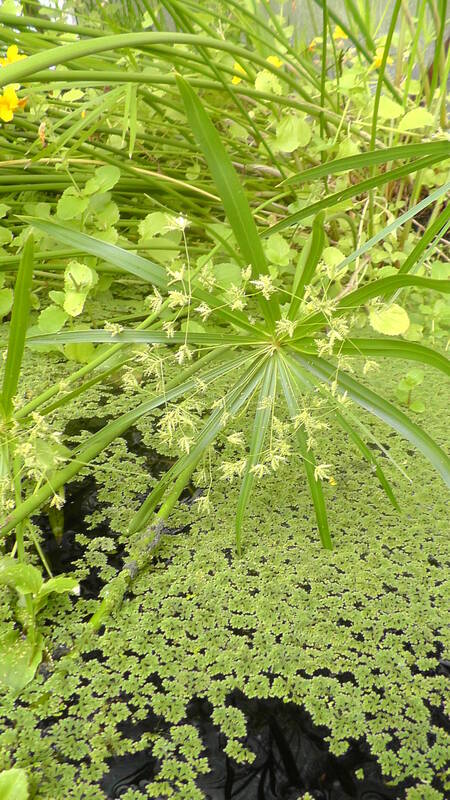 These plants have strong reproductive capabilities, and produce an abundance of offspring as they flourish. 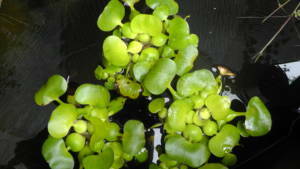 The little maintenance these water plants require is simply removing the browning or yellowing extensions as they grow. 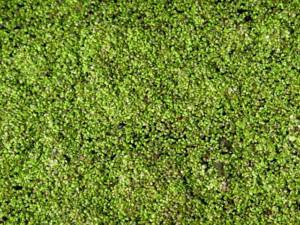 Fairy Moss (Azolla) and Duckweed are types of highly invasive floaters. They tend to quickly take over the water surface and may end up competing with other plants for essential nutrients. 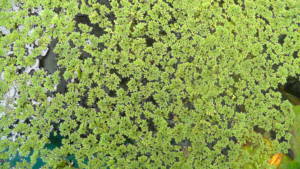 When these floaters start to take over, they can be added to greenhouse bedding, a compost pile, or act as food for fish and chickens. 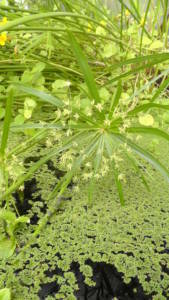 These plants are naturally found on the margins or borders of ponds and streams, and can give height, texture variances, and floral displays to your greenhouse tank. 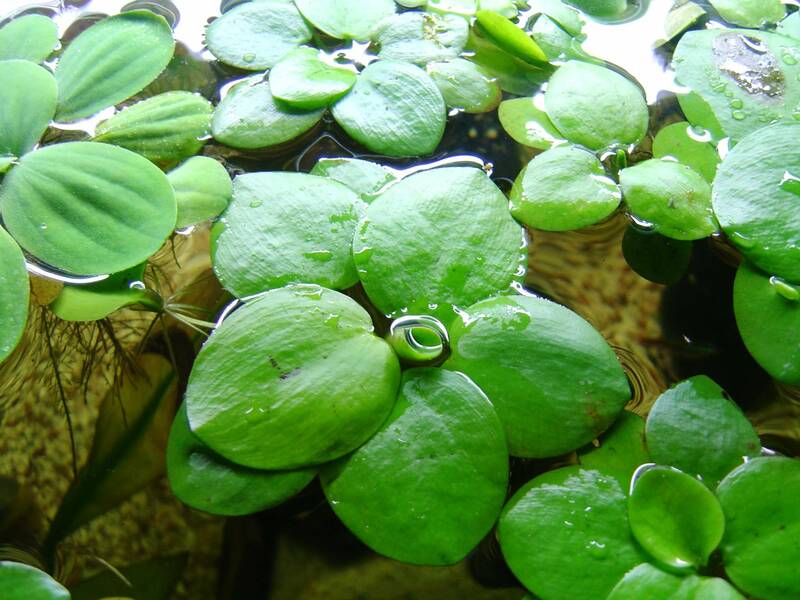 The trick is to find the best method to give these plants the water they need, without creating a mess in the tank. 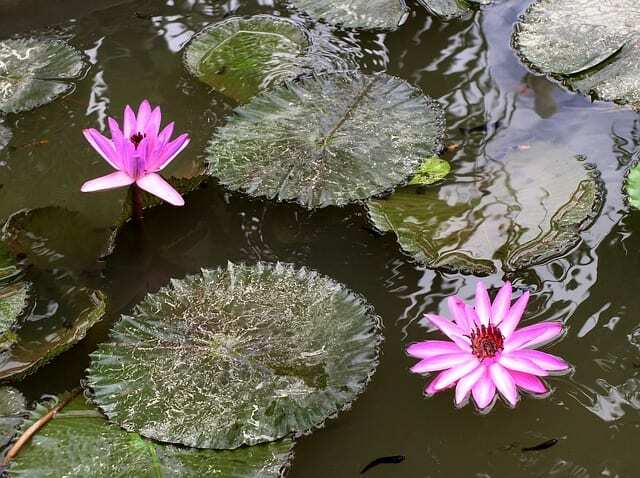 For this, we recommend placing these beautiful plants into floating islands that make them nearly maintenance free. Growing Spaces stocks these planted islands at their Pagosa Springs location. They are also available through Growing Spaces’ Claudia Stover; she is reachable by phone or text at 719-221-1012 or by emailing her at [email protected]. 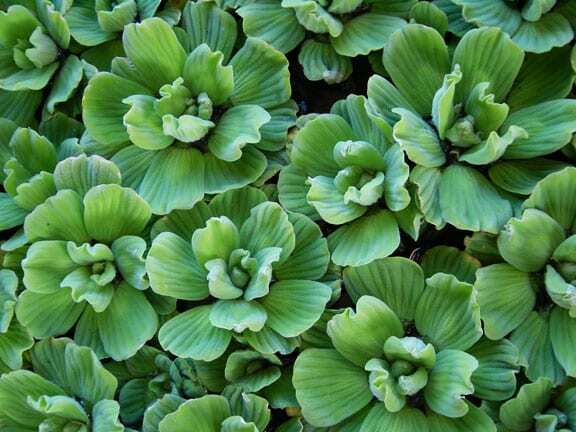 These plants need to be planted in pots with a heavy soil mix, sitting 12″ below the water’s surface. 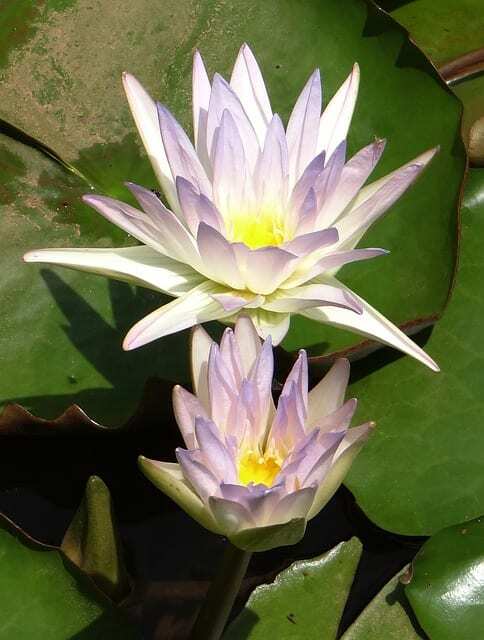 Consequently, they require stands to hold them at the required height.Unless you have a larger dome, the chances that you will see blooming is minimal. However, the leaf structure provides a lot of interesting surface coverage. 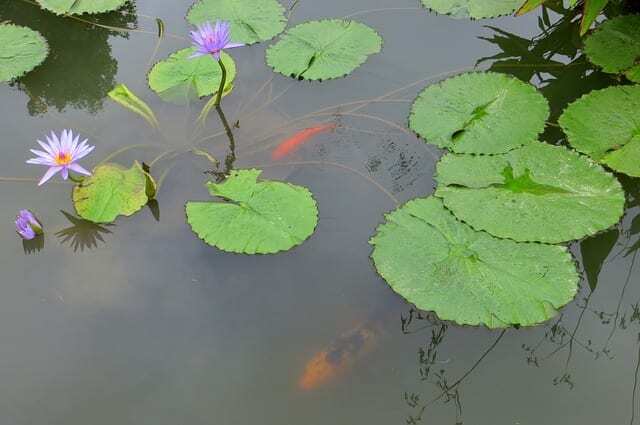 These plants should sit at least 24″ under the water’s surface to provide oxygen to the lower water regions of our tanks. 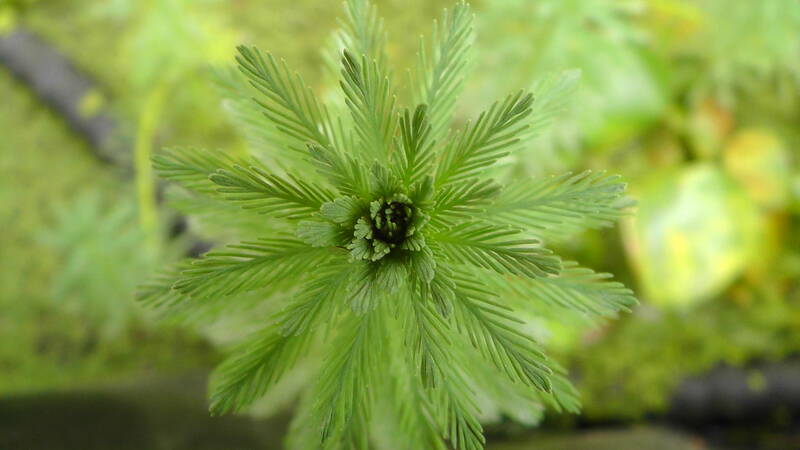 The primary oxygenators include anacharis, hornwort, and foxtail. The preferred technique in our tanks would be to suspend them inside a mesh bag (with a rock added to keep the mesh bag hanging low in the water). 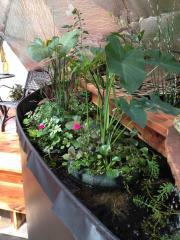 Water plants not only add to the practicality of the water tank, they also increase the beauty within the growing dome. Until next time, Happy Gardening! 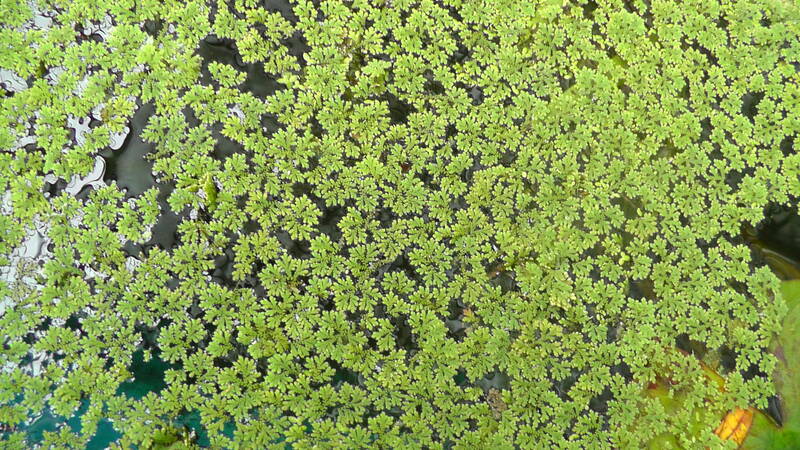 The duckweed and water hyacinths seem to be working well. 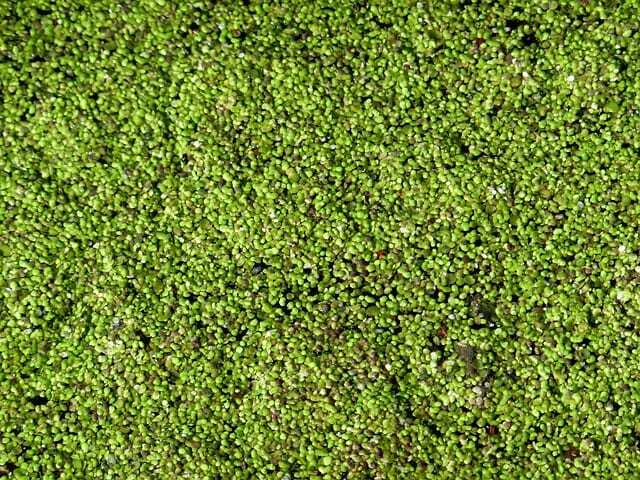 About 75% of the water is now covered, so I will skim off some of the duckweed and put it in my compost pile. Also, have put in 13 Japanese trap door snails. Water is not clear, but algae growth has slowed and there is no smell. What is your opinion about barley straw bales for ponds? Thanks.